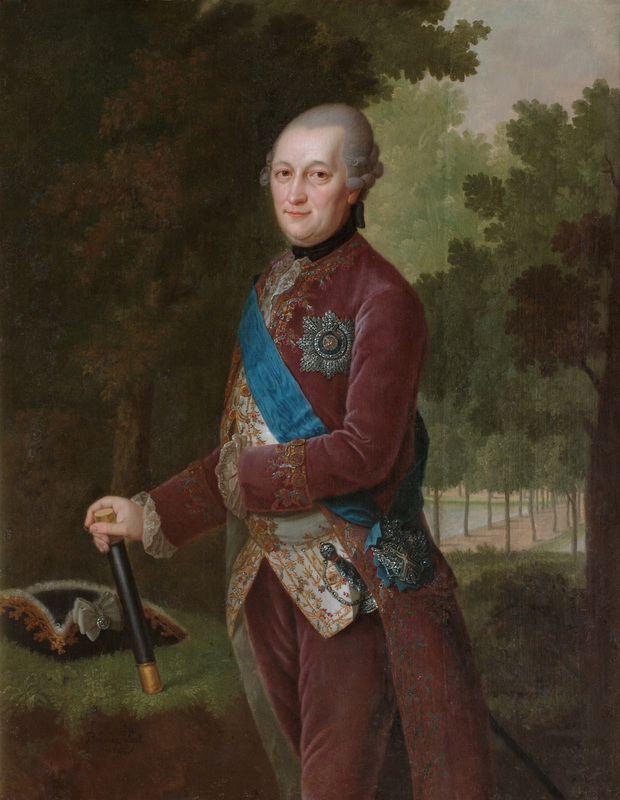 The aim of the project was to recreate a set of late 18th century man’s suit from the portrait of Duke of Courland, Peter. 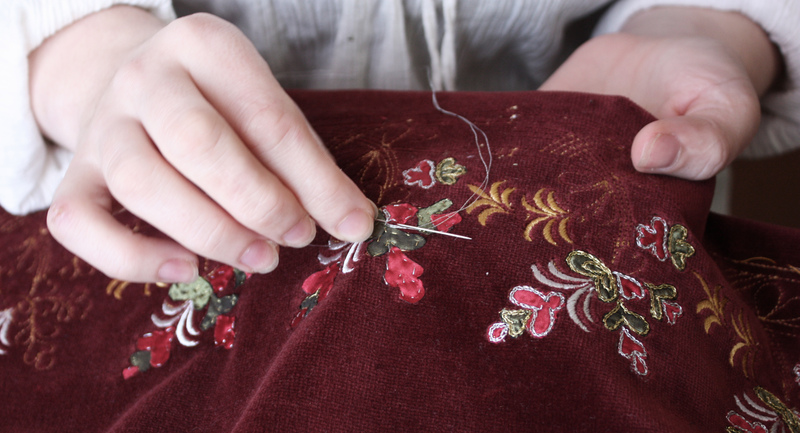 embroidery with similar floral motives. 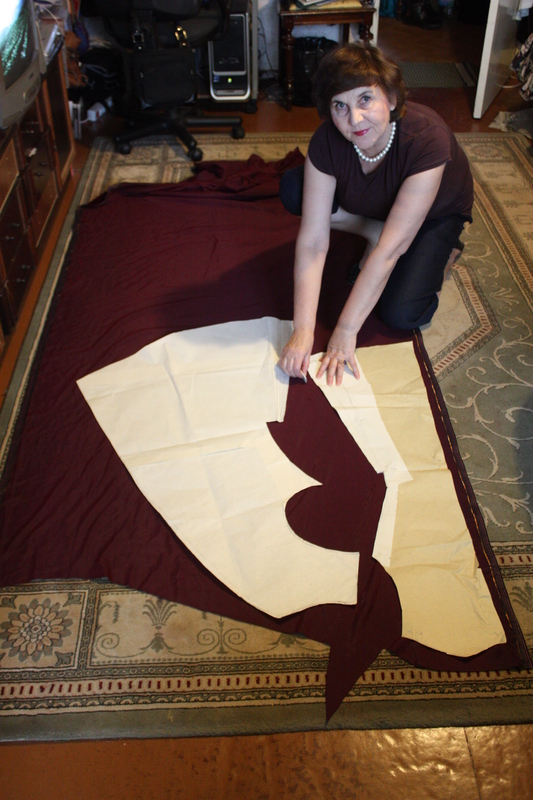 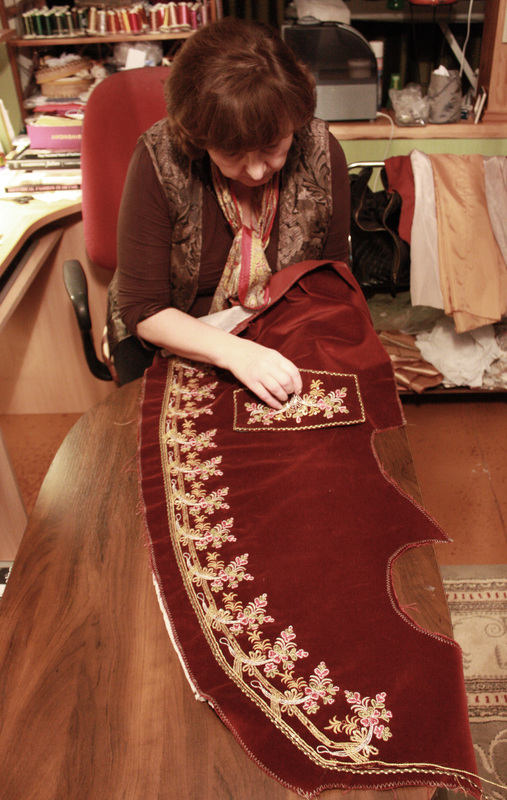 Big courage is required to cut out details of costume. 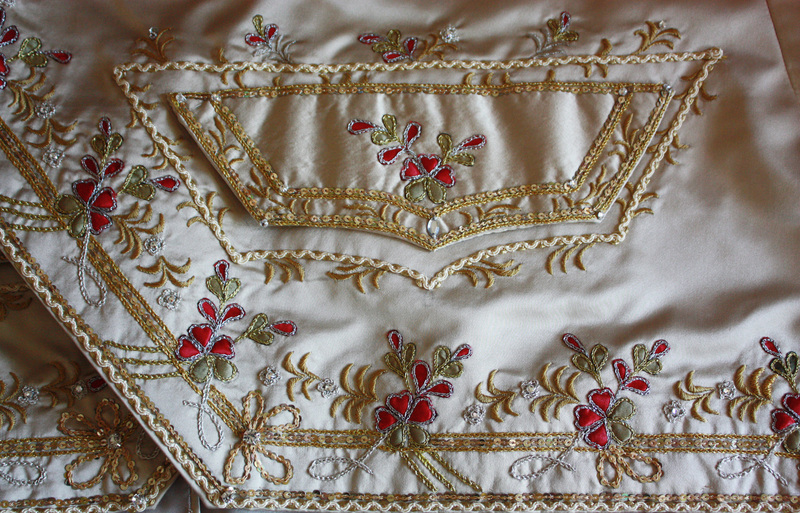 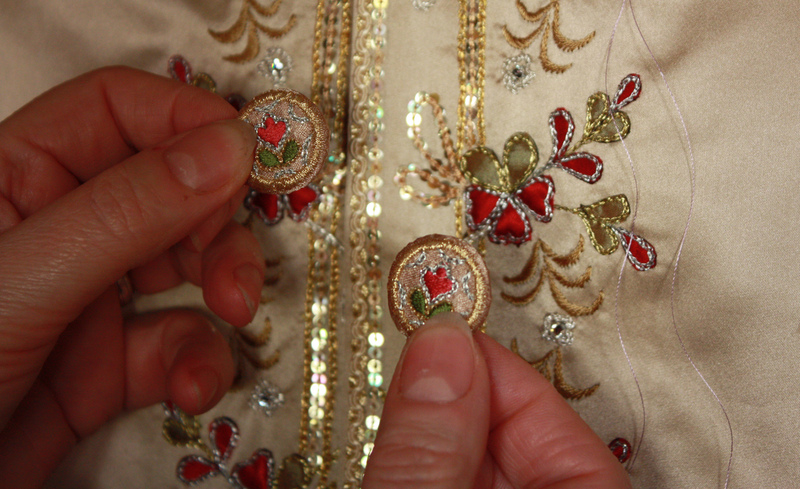 Transforming embroidery design on waistcoat and coat. 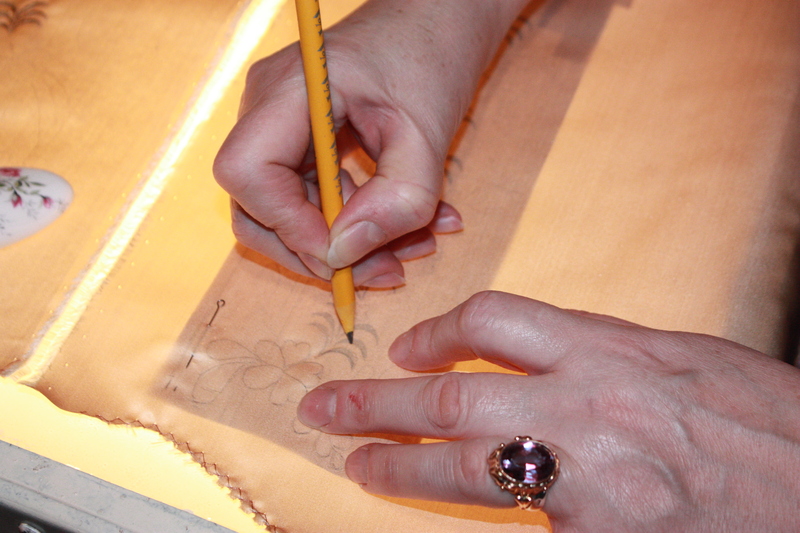 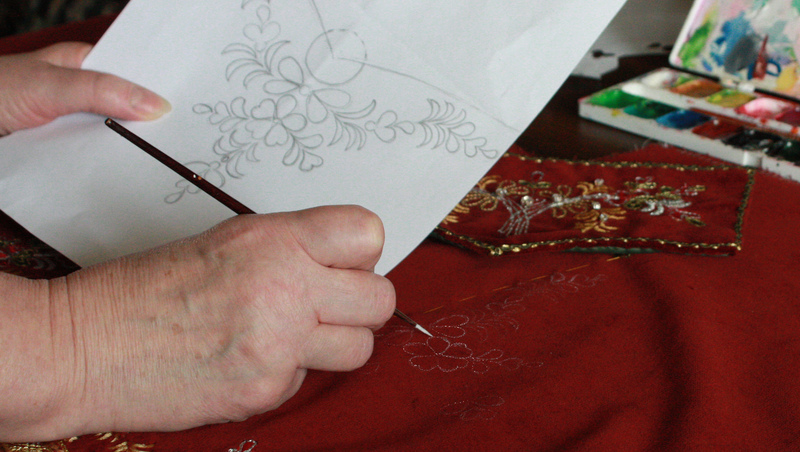 Hand embroidery process of coat. 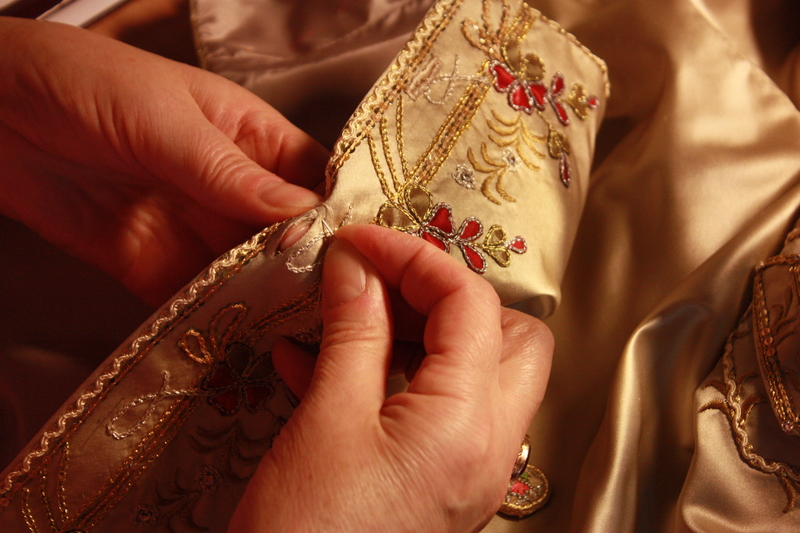 Sewing buttonholes of the waistcoat. 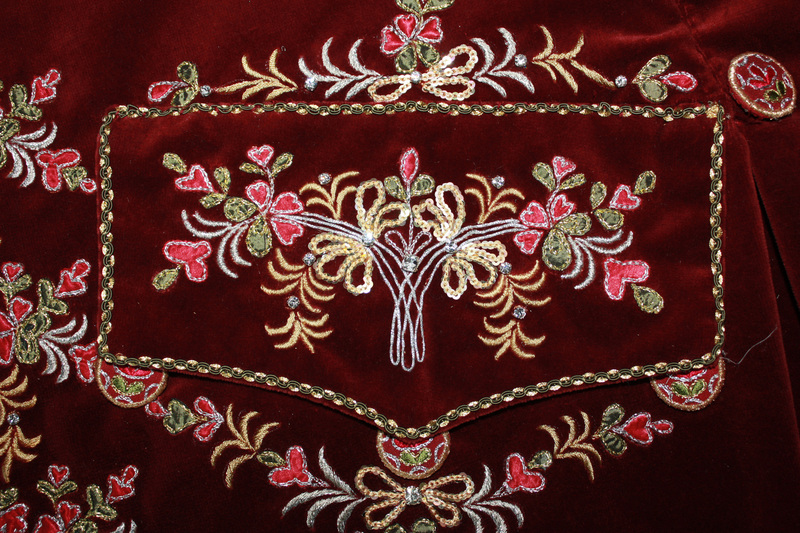 Close views of pocket décor of waistcoat and coat.